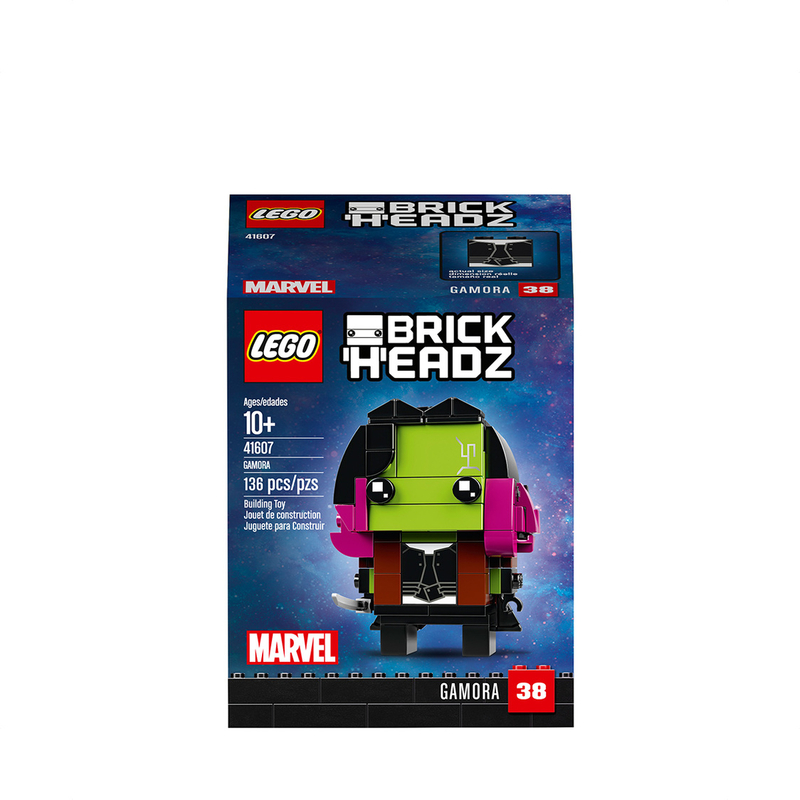 Build your own LEGO® BrickHeadz™ 41607 Gamora, from the blockbuster Avengers: Infinity War movie. Check out her decorated eyes, sleek black outfit, vibrant green skin, dark pink hair and sword. Then display your new super hero ally on the baseplate and show the deadliest woman in the whole galaxy to all your friends! 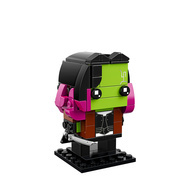 - Buildable Gamora LEGO® BrickHeadz™ construction character features decorated eyes and authentic details from the Avengers: Infinity War movie, including vibrant green skin, dark pink hair and sleek black outfit, plus a detachable sword. - Each LEGO® BrickHeadz™ construction character comes with its own buildable collector's baseplate. 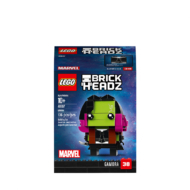 - Have fun growing your LEGO® BrickHeadz™ collection with other super heroes from the blockbuster Avengers: Infinity War movie, and many more from your favorite films, TV series, games and comics. - Mash up your LEGO® BrickHeadz™ construction characters to create super-cool hybrids or your own amazing characters. - Gamora figure stands over 2” (7cm) tall without baseplate. - Baseplate measures over 1” (4cm) square.